Hey there! Hope you are having a great day. Mine is a little sweeter than usual. I got a beautiful delivery of flowers today for our 4th anniversary! I can't believe our wedding day was that long ago, time has just gone by so fast and has been filled with so many adventures! Which, of course, is where this whole Discovereighng with Dana Travel bout stemmed from. Anyway, I'm excited to be here today. I'm sharing our tour of the Seattle Underground, a strange & cool spot you can't miss! The Underground was formed in the late 1800s by a fire accidentally set by a cabinet maker destroying 31 blocks of the city. What is now the Underground was once the street level of the city. When the fire broke out, the city was rebuilt on top of the old buildings, creating an underground city. The Underground was once still utilized, but is now a storage space and a unique tourist spot! When the city was rebuilt, they created glass spots in the sidewalks to allow in light for those shopping around in the Underground. So even if you don't take the tour, you may spot purple glass along the sidewalks, and that means you are walking over the Underground. Quite neat! You can also pop into The Can Can Kitchen & Cabaret at Pike Place Market, and get a peak of the underground without the tour. But it won't be as nearly as impressive if you haven't toured the Underground. The tour begins and ends in the Pioneer Building in Pioneer Square, and takes you around the neighborhood to a nearby building where the guide takes you inside to access the Underground. 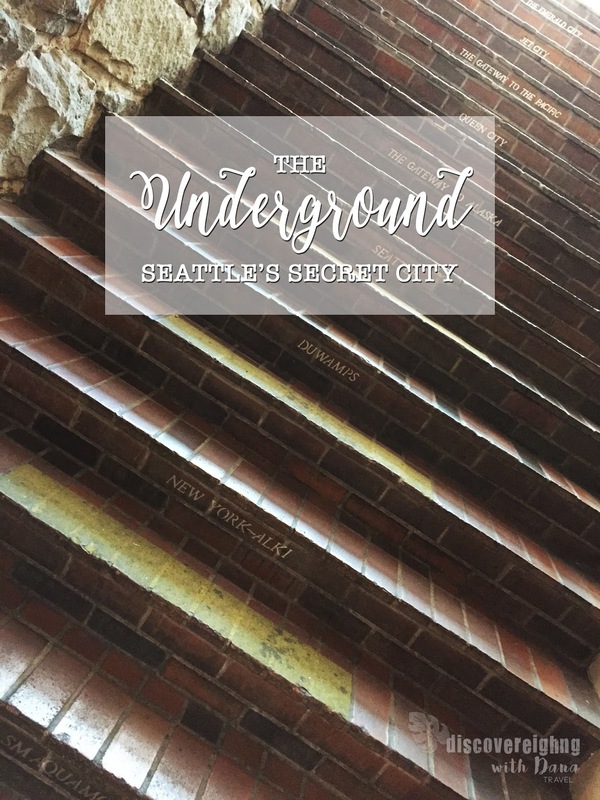 You'll walk below Seattle's sidewalks, exploring the city that once was. The tour is chock full of so much history, humor, and incredible architecture and innovation! If you're into quirky, unique, and down right weird, Bill Speidel's Underground Tour is one not to be missed!